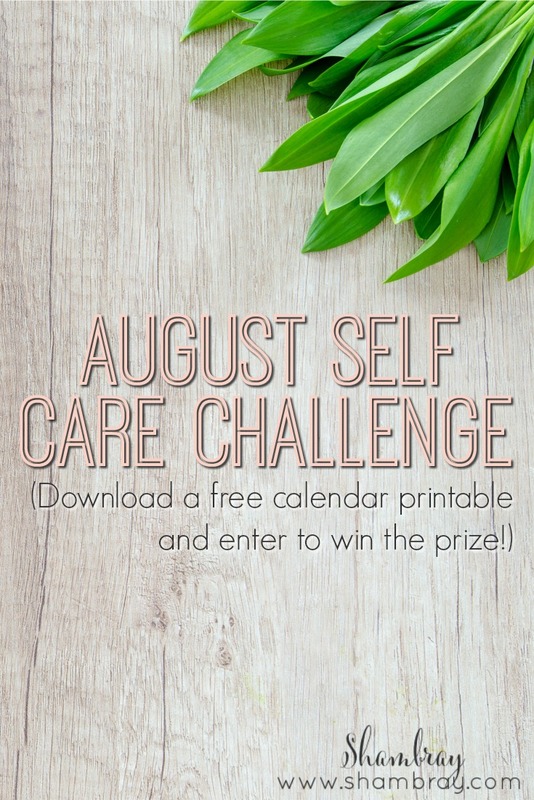 Welcome back if you joined in on the challenge for July. If you are new to this August self care challenge then welcome. 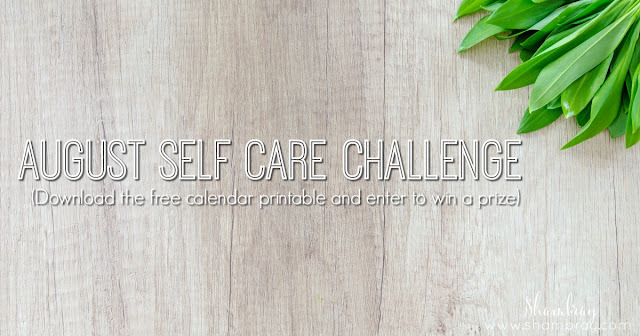 I hope you enjoy this challenge and find it motivating and uplifting. I hope it helps you take better care of yourself. I hope together we can learn to love our self more every day. Don't hesitate to email me with any questions, tips, tricks, or suggestions. Also, make sure to join our Facebook group so we can interact more often. Some of these links contain affiliate links which means if you purchase after clicking on the link I will receive a very small commission. I wholeheartedly recommend these items and commission would never sway me to recommend something I could not think is worth every penny. Every month I focus on a new goal. I like monthly goals because it can create a habit. That is exactly what my fitness focus last month did. By the end of the month I didn't even need to really think about what I put into my body because I only reached for good foods (with of course an occasional treat, because why not!). Same with my exercise routine. It started to become easy to get up early and exercise because it makes me feel so much better. This month I am focusing on a new goal and that is mediation/prayer. I really love the peace that meditation brings. I need it more in my life, especially since school starts this month. So I am excited to be focusing on it this month. I also want to make my prayers more meaningful and really searching for answers when I pray. So I am incorporating that as well. Sometimes prayer in itself can take the place of mediation if that is something you like to do. Download the self care challenge calendar. Join our Facebook group and post pictures on the Facebook group of you completing the challenges. Each picture posted will be an entry into the giveaway. Also, leave a comment on this post below and tell me your personal goal in regards to the monthly focus (meditation and/or prayer). This will be worth 5 points. I am so excited to share with you the prize for August. I have been using these for over a year and I am obsessed. 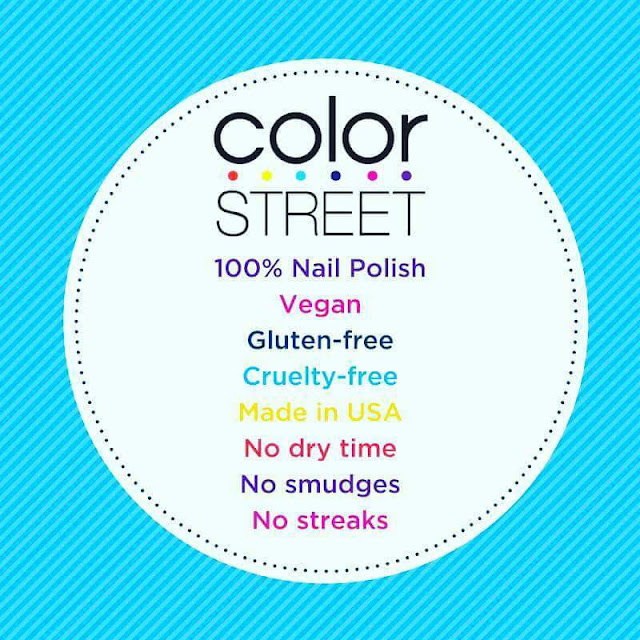 This month the winner will get a package of Color Street Nail Strips! These last a long time. No more chips after 1 day. They are SO FAST and EASY to put on. They go on dry. 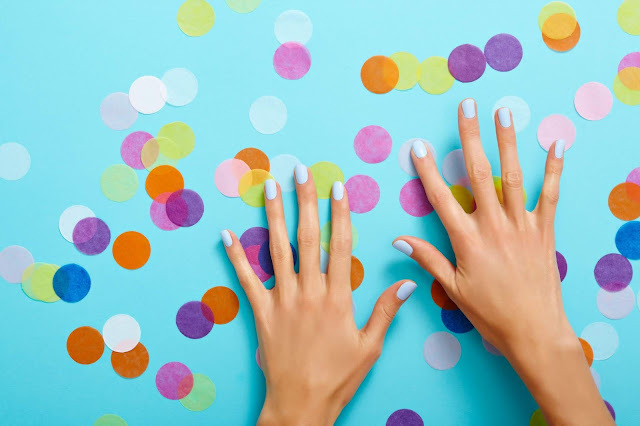 No more waiting for your nails to dry. After you try these you will want a million like I have. Okay, I don't have a million, but close. Breakdown of certain days "challenges"
I have provided some suggestions, ideas, and tips for SOME of the day's challenges. They are all simple, maybe not easy, but simple. Day 3: Wash your face before you get in bed. The biggest thing I tell others to do when it comes to washing your face is to buy something you are really excited to use OR that costs enough that you will use it because you don't want to spend the money and then not use it. Day 4: Meditate. Since I am a religious person a lot of time my "meditation" is spent in prayer. So I pray and then I am quiet and calm while "listening" to an answer to my prayer. However, I also love to actually meditate. I love to use the app, Calm. Another great app is called Headspace. Day 5: Paint your nails. Better yet, use Color Street. No streaks, no smudges, no drying time! They are SERIOUSLY the BEST! Day 6: Grab that book you want to read. Check out some of my favorite books. Day 8: Put this calendar up where you see it often. It might be by your nightstand, or bathroom mirror, or maybe your fridge. Just put it somewhere so you can be reminded that self care is important to you. Day 9, 10, & 12: I love to use an app that locks me out of certain apps. I have this set up daily. This is the one I am currently using. Day 11: Date Night. Check out this post on date night ideas. Here is another one! I even have a 52 Date Night Ideas e-book! Day 15: Watch a chick flick. I will be watching The Guernsey Literary and Potato Peel Pie Society, but check out some of my other favorites. Day 18: Try a new recipe! Put one of those recipes you pinned to good use. Day 19: Go to bed early! : Go to bed an hour earlier than when you usually do. Day 21: Get up and get ready before your kids get up: This is one thing I do every day. There are very few days that I don't do this and it is necessary for my sanity. Day 22: Do yoga: My favorite people to do yoga with are on YouTube, they are Sarah Beth, Adriene, and Kassandra. I also love using the Down Dog app. Day 23: Get a sweet treat: This will probably be a PB Twix or a chocolate chip cookie ice cream sandwich for me. Day 26: Get cozy with your favorite drink: Frozen hot chocolate or a lime ricky are calling my name! I want to see yours post on Instagram or in the Facebook group! Day 29: Text or call 3 friends today: Sometimes these conversations can be long. So talking might be hard, but actually have a conversation with them. Don't just stalk them on social media. Day 30: Set up a friend date: It can be anything. Paint night, dinner, movie, play, pedicure. Just spoil yourself with one of your girlfriends. Or five if you want. Day 31: Join a club: It can be any club. Book clubs have my heart.